Bridgeport is the new town that was released with The Sims 3 Late Night expansion pack. It is much larger than the previous towns in The Sims 3 and centers around nightlife activities such as going to bars, clubs, lounges, and also includes vampires (which can only really come out to play at night). Bridgeport has a large downtown area, and also lots on the outside of town including a place where actors can shoot films, and even an elite area for celebrities (or those with large sums of money) can live. Getting around Bridgeport is also quicker with use of the new subway system. Bars, clubs, and lounges were added in Late Night to give Sims that like the nightlife a place to party and relax. These are also great spots to work on getting celebrity status points and make new friends. Bars in Bridgeport include: Waylon’s Haunt, Eugi’s, and Bridgeport Sports Zone. The Sims 3 Bridgeport neighborhood clubs include: Aquarius, The Grind, and The Brightmore. Lounges in Bridgeport include: Plasma 501, Banzai Lounge, and The Prosper Room. 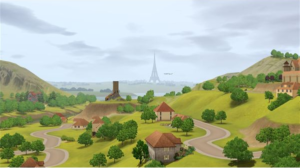 The community lots in The Sims 3 Bridgeport neighborhood include hot spots for Late Night fun as well as parks, and other lots introduced in The Sims 3: Ambitions. There are many vampire Sims running around in Bridgeport. They mostly come out at night, but can be out in daytime too (just have to avoid the sunlight). One of the more notable Sims 3 vampires is Elvira Slayer, said to be the oldest vampire in all of Bridgeport. Vampires in The Sims 3 Late Night are spotted by their slightly glowing skin, eyes, fangs, and bite mark on their neck. Vampire Sims are thirsty and drink either from another Sim, eat plasma fruit, or drink from a plasma pack (looks like a juice box). If a human Sim has a high enough relationship with a vampire, they can ask to turn them into a vampire too. 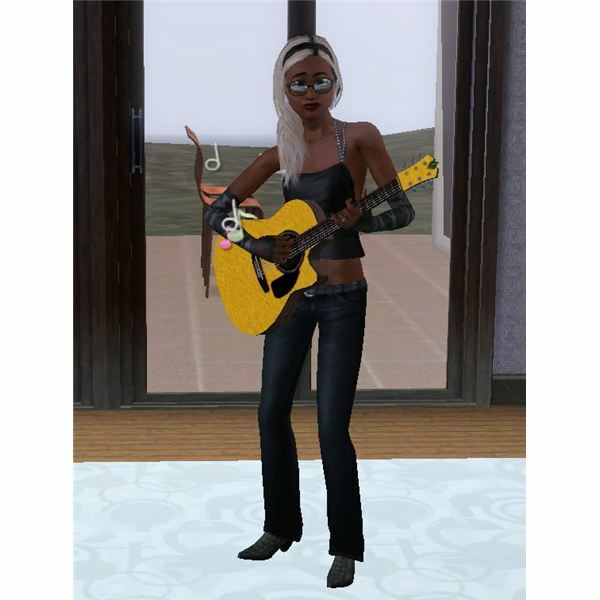 Your Sim doesn’t have to be a musician or actor to become a celebrity. They just need to impress and know the right Sims, and have some good skills too. Sims gain Sims 3 celebrity status points by bragging to and impressing current celebrities, completing opportunities from their agent, having a large network of friends, and more. Celebrities get into all the best clubs, bars, and lounges and can even get free food, drinks, and items sent directly to their house! New NPC families, households, and homeless Sims were added with in Bridgeport too. These are the families that you can start out playing. Some of them have celebrities, some have vampires, and some have both! Just because a Sim starts out homeless doesn’t mean that they can’t become a playable Sim. If you have them move in with another Sim you can play with them and even move them into their own apartment or home. Use of the Sims 3 money cheat really helps with this!